It's still Friday somewhere in the world... and since I'm late to my own party this week I'm making this short and sweet! Work has been one big busy-fest since I went back in February. I've felt like I've been chasing my tail and haven't caught it once. But its school holidays here at the moment, which means that things are a mildly less crazy and my favourite thing this week is the luxury of catch up time. Time to do all those things that have been lurking and weighing heavily on my conscience. and by the end of the day I was feeling very chuffed that I'd managed to get it down to this. Is there anything more satisfying than working your way through a load of stuff and getting it off your list? Never mind that I have about 6 piles like that to get through before school holidays end. I can do it ! Sometimes it's the simple things that make our hearts sing. Feel free to link up and let me know what made your week too. P.S. I've been really slack about responding to emails lately. Thank you to each and every one of you for your lovely comments. My email inbox has reached the point where I have so many I'm just going to cut my losses and start again. Back to normal this week I promise! Oh good, you're near the bottom, next week you can come start on my pile! Hi Shay...I totally messed up the linky thingy...LOL...go I'm trying to fix it but I can't find a way to do it...could you please delete my link...I would try to link what I wanted later, lol..Thank You love and thanks for hosting! And I thought it was going to be all the fresh dinners you made this week. Glad you made it through the first pile. Good luck with the remainder. Hooray for knocking down your stack! Will you come please work on mine? :) Happy Saturday evening, Shay! Good for you... feels great to clear your work trays. Hope you get some Shay time. Glad to see that the school holidays are giving you some extra time to reduce the work stress. 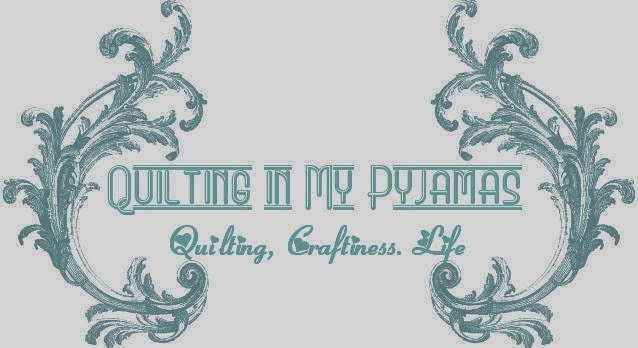 Hope that flows over to home and you are getting some quilting in while we are enjoying this rain today, no better excuse to stay in your PJ's ALL day! When I was young I was told to write lists , because it's good to be able to cross things off. Yay for the little things in life. Do I understand from this that you are doing work work while you are on holidays? Hope you are going to take a bit of a break too. Ick! I hate piles of paperwork. Good on you for getting on with it. I know just what you mean. I just came back from a week of not being at work and the things that need to be caught up on are overwhelming. Yay for smaller piles!! I agree, it is such a good feeling when you make a big dent in the work pile. Hope you get as much as you want done before school holidays are over. Then you'll need a holiday! Getting stuff off the to do list is a great favorite. Wish it was one of mine this week! Yay you! I hope you get everything done by the end of holidays (which have probably already come and gone b/c I'm so late in commenting). It is a nice feeling to finish something that has been hanging about for a long time.